The last time i owned an over & under shotgun was when I was 18 and it was a very agricultural Russian jobby that wasn’t much fun to shoot. It is fair to say that it put me off shotgun shooting for a considerable period of time. For my bird hunting I have been using semi-auto shotguns from a Beretta to my preferred Remington Versamax. I like a heavy gun as it seems to catch up with birds a whole lot easier than a light gun. Once you get them moving they stay moving. So, why am I reviewing a new over & under? Well, two season ago a mate took me on a sporting clays shoot and I enjoyed it immensely. 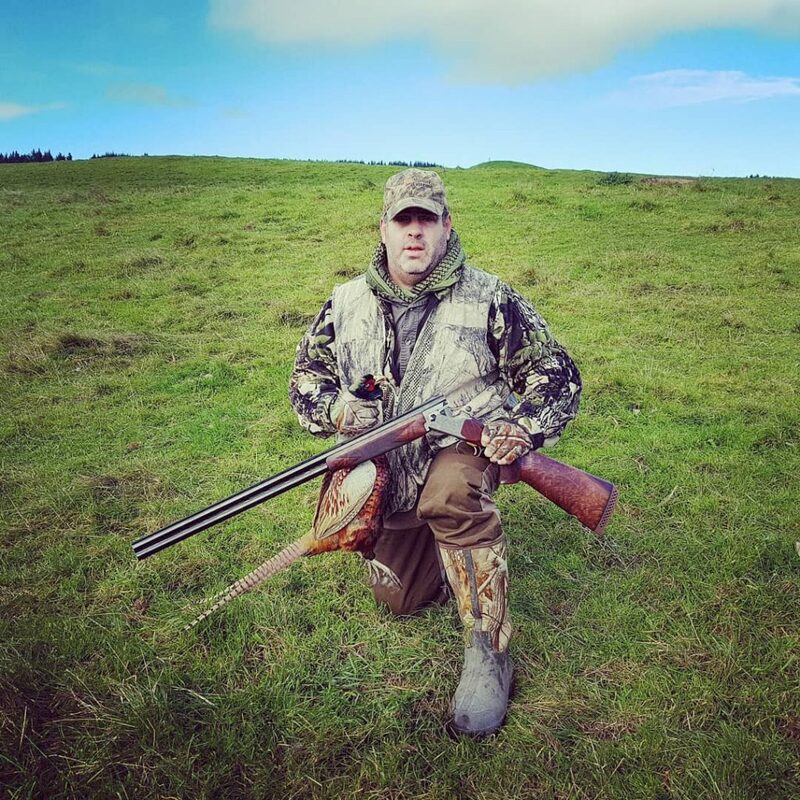 Then Scott from Reloaders invited me out to Boomrock Kauri Bay for another sporting clays shoot and this time I used a over & under and was pleasantly surprised that I did reasonably well, despite not having shot shotguns since opening day the previous season. I don’t get to shoot nearly enough and so taking up sporting clays seemed like a sensible idea. I asked Scott at Reloaders from some advice on what sort of over & under shotgun I should get. He, of course, recommended I get a Perazzi. I took one look at the prices and knew that I couldn’t slide those past the missus despite the fact they are superb firearms. His next recommendations were for various models of Miroku shotguns. My only stipulations were that the gun must be heavy, suitable for sporting clays as well as field shooting and made for left-handers. My targets were only likely to be clays, quail and pheasants. I prefer to get all my guns in left-hand these days. I dislike sharing and right-handers generally can’t use left-hand configured guns. I also don’t see why I should compromise these days. It was at this stage I was invited to a driven bird shoot at Tuna Nui…so a good over & under was going to be a requirement for sure. Initially I looked at a 20 gauge “High Pheasant”. It felt a bit too light, had fixed chokes and felt a bit small in my mitts. That was quickly discounted also with recent changes in the exemptions for lead shot with 20 gauge. So I was onto the 12 guge versions and several choices. Because I was looking for a sporting clays AND a field gun it quickly removed the MK70 & MK38 models from contention. They are all fine guns, but quite a bit lighter that the Miroku MK10 models. Miroku is going through a model change at the moment so there are some good bargains to be had for very good shotguns. 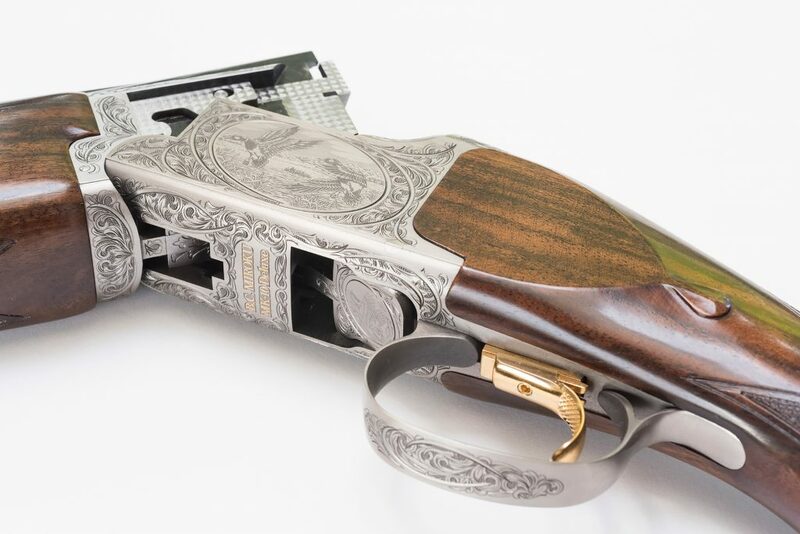 On Scott’s recommendation I bought the MK10 Sport Grade 5 gun, with beautiful Turkish walnut and almost identical specifications to the configurations listed below for the Miroku Sporter Deluxe. I got the 32″ barrel version because I will be using it for sporting clays as well as bird hunting. Of course it is left handed, and has a nice hand swell on the grip (see photo below) and left-hand cast to the stock. The gun comes up to the cheek and eye perfectly for me, and the beads line up nicely. Of course it is a different matter when the clays and the birds are flying, and there is a cold breeze racing up your jacksie. Nonetheless this gun drops birds, whether they are clay or feathered. I arrived down at the Hawkes Bay and went out on a blustery afternoon to a mates farm to bust some clays. The next day I was to go to Tuna Nui so I thought I better warm up, not having shot ant shotguns much less a classy over & under like the new MK10. The farm has some nice gullies and so we set up the thrower on to of a hill and stood int he gullies to simulate driven pheasant from different angles. Right from the get go I was slotting clays. The gun felt nice. We chewed through a box of clays, and a slab and a half of ammo breaking the gun in. After that it felt a whole lot more comfortable and I was reasonably confident heading to the driven shoot the next day that I wouldn’t embarrass myself on the pegs. I was glad I had spent that time, the day before, shooting clays, as the very first driven was sending birds over my head just like I had practiced. I nailed a few pheasants with some difficult overhead shots. This gun rocked. After several more drives I realised that this gun was worth every penny, and enabled me to drop birds from some rather awkward positions. I put that down to the good fit for me, the left-hand cast and the 32″ barrel. It showed me also the value of good advice, like that I received from Scott at Reloaders. Some of the old hands at Tuna Nui thought I had been holding back my shooting experience on driven birds. I hadn’t been. It was literally the first ever time on driven birds, and only the second day shooting with a new gun. Things can only improve from the first outing and I was very pleased with my new purchase. The new MK10 Sport and MK10 Deluxe Sport replaces the entire MK10 range, no longer will there be grade 1, grade 3 or grade 5 guns. Sport replaces grade 1 and grade 2 while the Sport Deluxe replaces the grade 5. If you are the kind of shooter that likes to use one gun for everything, this is the gun for you. Miroku MK10 represents fantastic value for money and quality that will last a lifetime. Stock and forend are high-grade oil finished Turkish walnut. 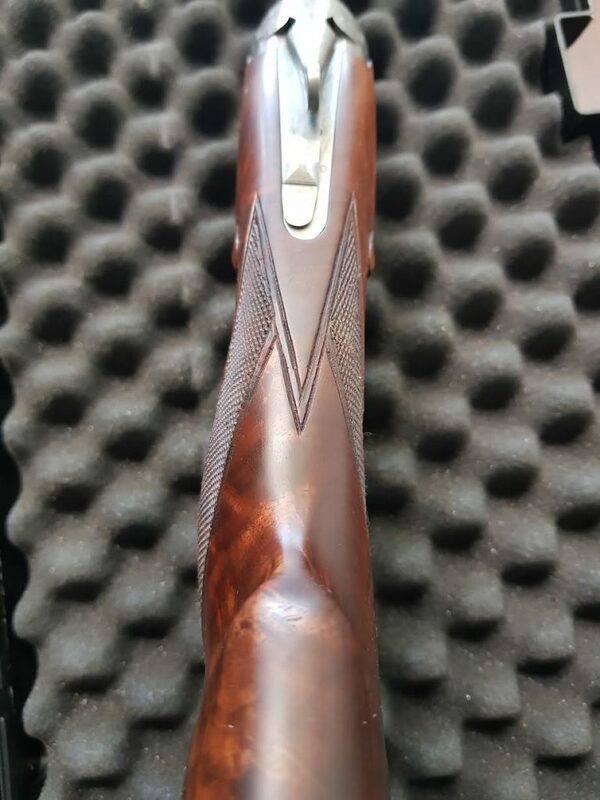 Drop in and see the experts at Reloaders and they will find you the perfect gun, but for me it is hard to go past the beautiful Miroku MK10 Sport that I now own.